The world leader in visual computing technologies and the inventor of the GPU, NVIDIA has announced its new Tegra processors including Tegra 600 (runs at 700 MHz) and Tegra 650 (runs at 800 MHz), which the company describes as essentially a “computer on a chip”, targeting at an upcoming new breed of mobile Internet devices (MIDs). 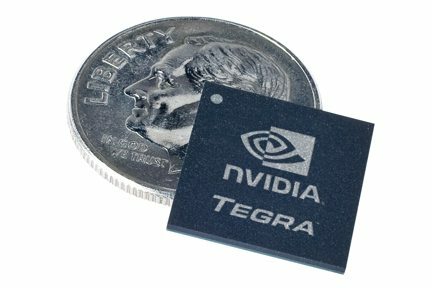 In addition, the NVIDIA Tegra lineup will also include the APX 2500, the Nvidia processor enabling the next generation of Windows Mobile smartphones that was announced earlier this year. According to the company, the Tegra chips based on Arm11 processor core from Arm also include a GeForce graphics core, high-definition video decoder and other components, allowing them to perform functions normally carried out by several different chips.